County Hall in Norwich is home to Norfolk County Council, and is an 11-12 story office tower. 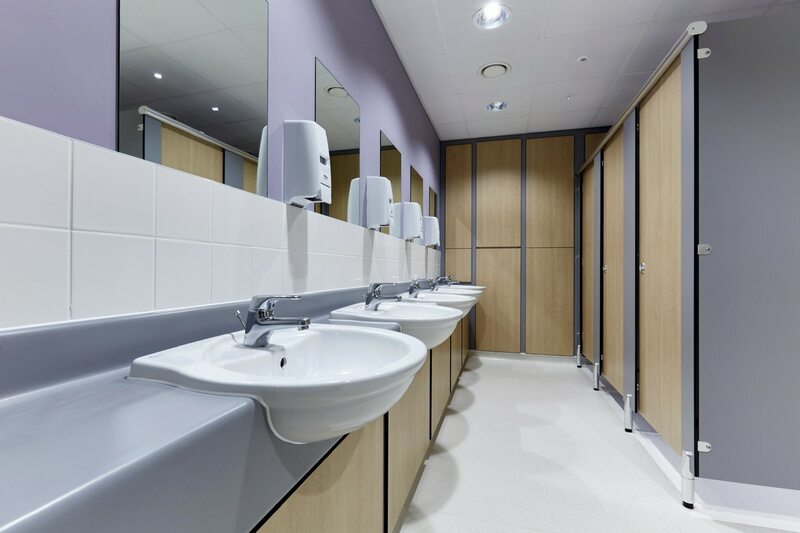 The building has had major refurbishment work throughout with the main contractor being R G Carter Norwich. 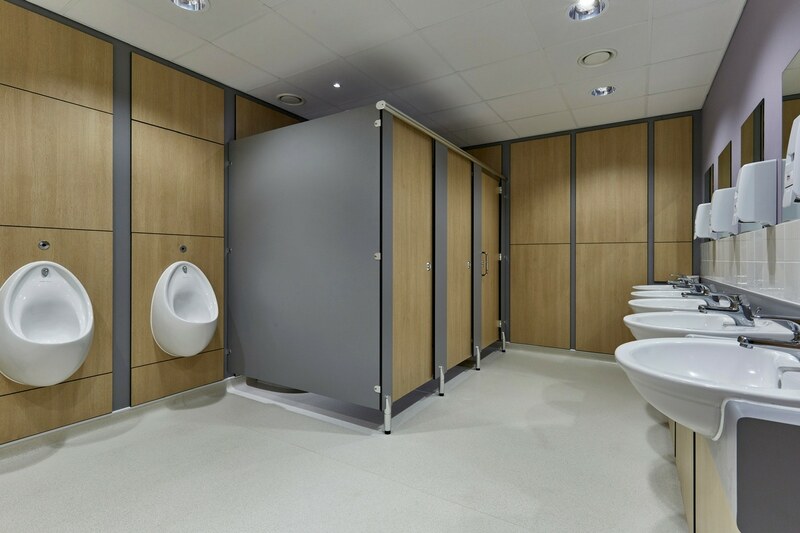 As part of a £33 million refurbishment project at County Hall, 28 toilet areas requiring refitting, along with ducting to kitchens throughout the office building. 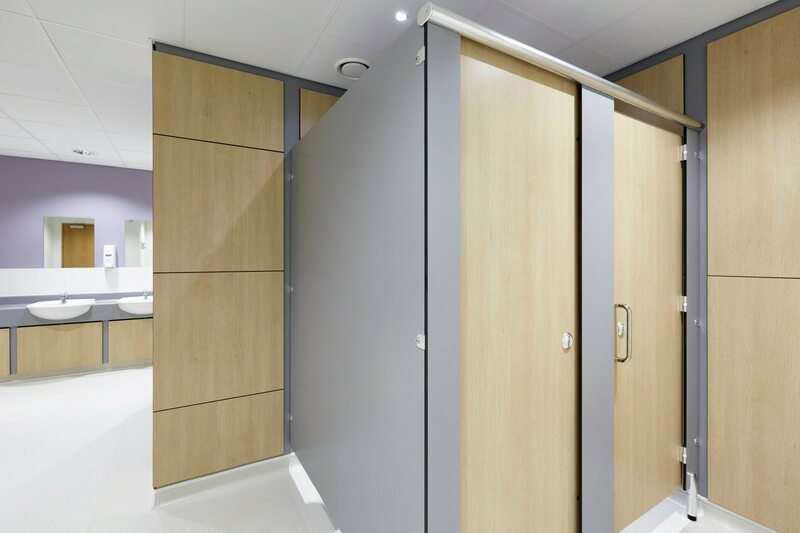 Stylish but durable Challenger Cubicles along with pre-framed ducts and vanity units in the toilet areas along with pre-framed ducting to kitchen areas. 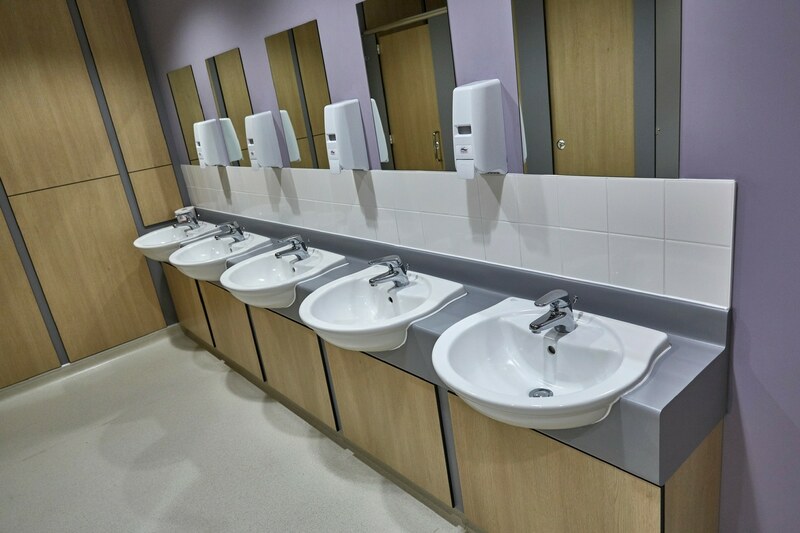 Along with this matching vanity units were supplied offering practical and smart hand washing areas for all the staff within County Hall. Ducting to kitchens were also provided as required throughout the building.